This will be followed by an illustrated talk by James McCallum on Wormistoune House. If you wish to send comments or questions for discussion by the Committee, please send these to your local Representative. Pittenweem Priory 1st June 2019 at 3pm. 16 South Street, Elie 7th September 2019 at 3pm. for paid-up members of the Society. A chance to view this house which was constructed in recent years. This is the best preserved Romanesque parish church in Scotland according to Professor John R Hume, though the nave was replaced in the nineteenth century. It displays remarkable exterior decoration in the form of blind arcading while inside chevron decorated arches draw the eye to the apse and beyond. Many mason's marks can be seen, of which several are identical to some in Durham cathedral. Distinctive corbels of human and animal form are found inside the apse and in a course outside the chancel. 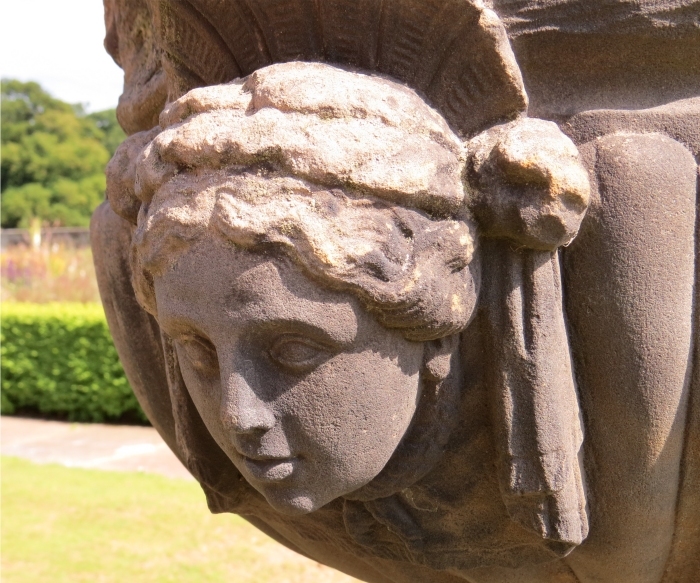 The gardens and grounds have been painstakingly restored over the last 20 years. The walled garden is a series of ‘rooms’ including a wildlife meadow, productive potager, magical Griselinia garden, wildlife ponds and rill and recently planted mid and late season perennial borders. 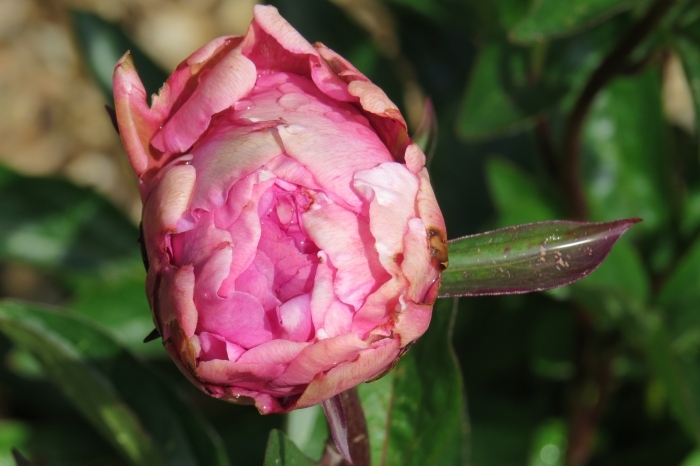 We will be given an introductory talk by Head Gardener Katherine Taylor. The visit will conclude with drinks and canapés. Wormistoune is 1 ½ miles north of Crail by the A917 Crail/ St Andrews road. The Annual General Meeting 2018 was held on Tuesday, 27 March 2018 at Kellie Castle. Our speaker was David Jones, leading furniture historian speaking on Mackintosh’s Regional Influences. David Jones is an expert on Scottish furniture and partly retired lecturer in Art History at the University of St Andrews. He is the author of The Edinburgh Cabinet and Chair Makers’ Books of Prices 1805-25 (2000) and editor of the journal Regional Furniture. 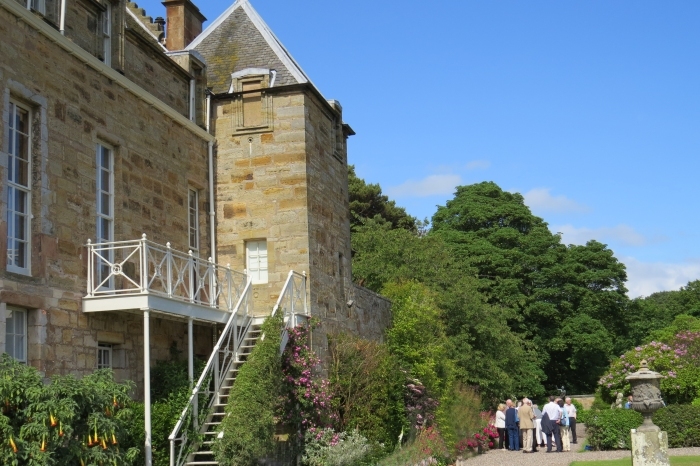 On Saturday 4 July 2015 at 3.00 pm, the summer visit of the Society was made to Balcaskie Estate, St Monans. 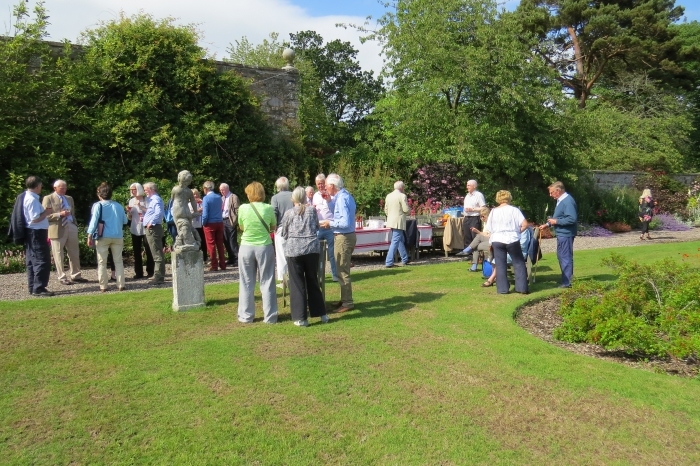 Twenty eight members of the Society enjoyed a memorable visit. Toby Anstruther proved a genial host and gave a brief history of Balcaskie. 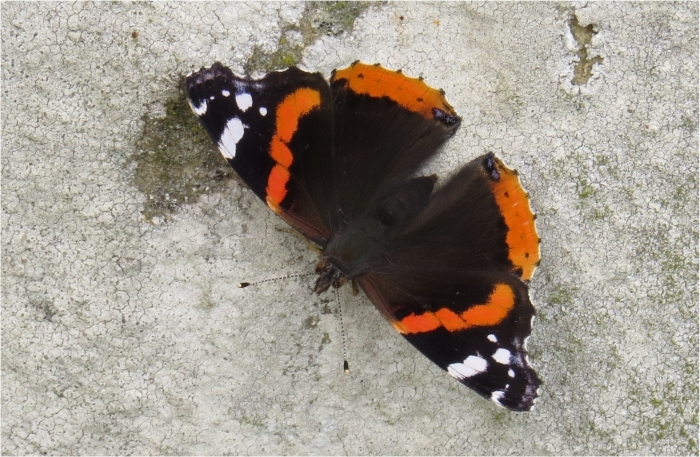 The torrential rain of the morning gave way to a glorious afternoon in time for the visit. 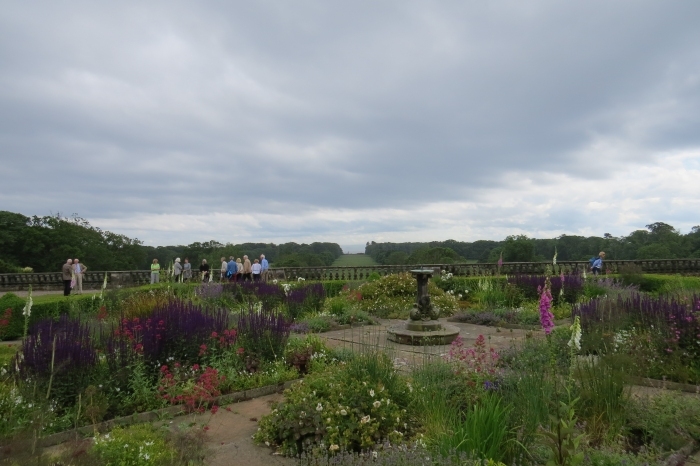 There was a conducted tour of house but with ample time to explore the terraced gardens which are aligned to the Bass Rock. Balcaskie was built before 1629 and was the home of Sir William Bruce, Architect, from 1665. In 1698 it became the home of the Anstruther Family. Colinsburgh Conservation Area Appraisal and Management Plan on Fife Council Web Site. St Monans Conservation Area Appraisal and Management Plan on Fife Council's web site from 24 June2013. 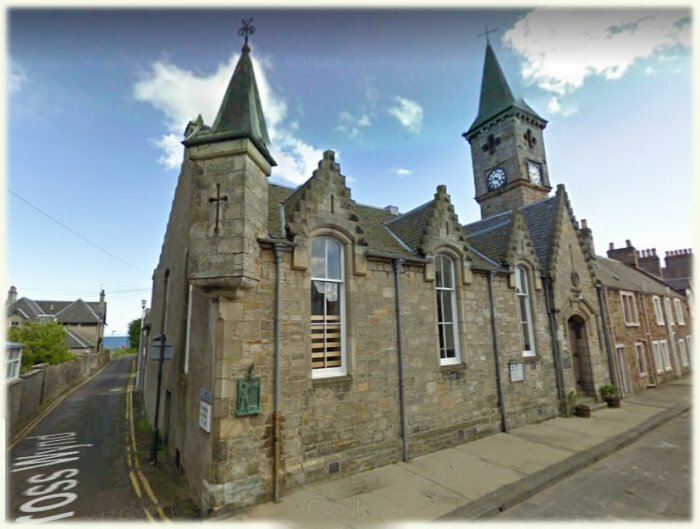 For Appraisal of other Fife Conservation Areas or to ensure you have the latest version, see the Fife Council web site Click here. 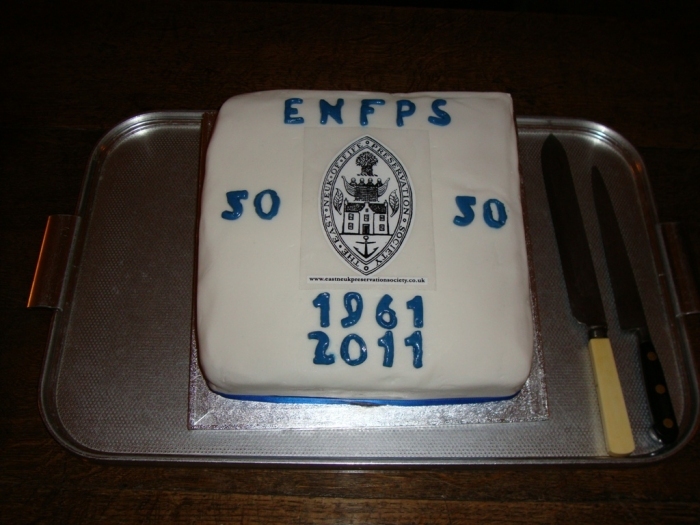 50th Anniversary Summer Reception at Balcarres. 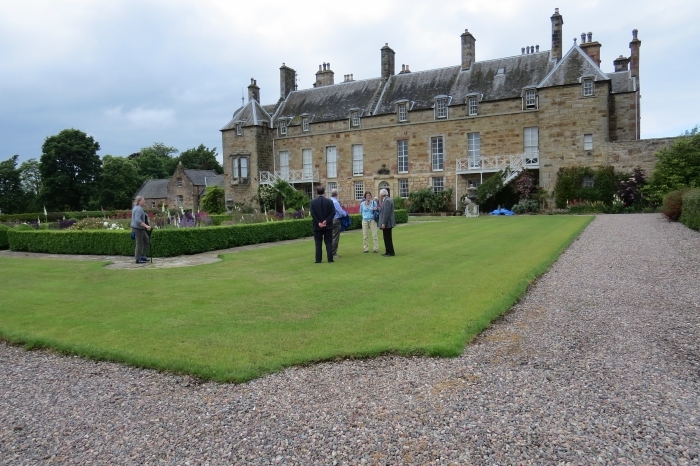 The Society's 50th anniversary celebrations continued on Friday 10th June with a Summer Reception hosted by Lord and Lady Balniel at Balcarres, Colinsburgh. 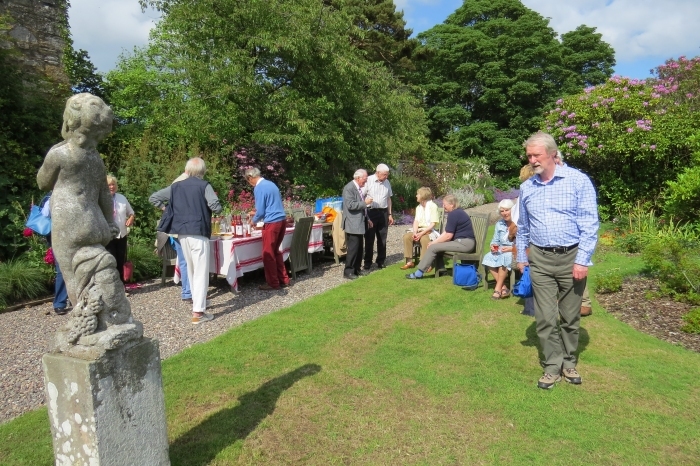 It was a fine Summer's evening and about 100 members enjoyed canapés and wine on the top terrace of Balcarres' wonderful garden.